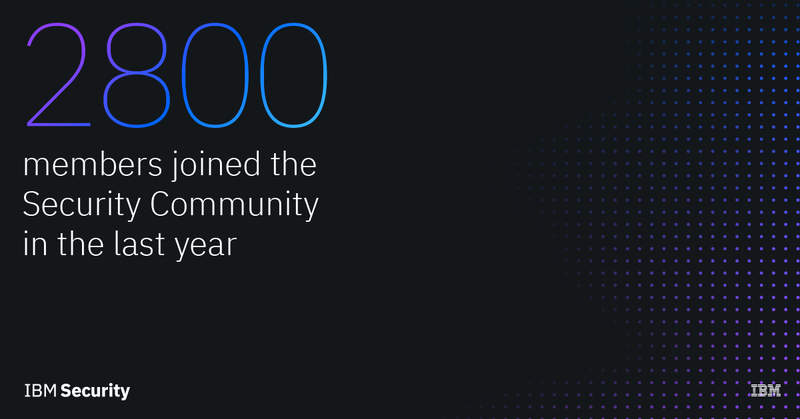 The IBM Security Community turns one year old this week! When I look back on where we started and the journey to where we are today, I could never have imagined the impact we have had on our members. Thank you to all who have played a part in our storytelling thus far, and above all we look forward to continuing our journey with you. Security is a daunting task, and a successful strategy must combine technology with human connection and intervention. At the outset, our approach was an extension of our security strategy, bringing our global ecosystem of clients and partners together to help build out our community, but in time it has become so much more. Thanks to the dynamic members who have embraced the community, you are making it their own and bringing us along for the ride. These numbers tell me that community is used as a resource that educates our members and helps ease the skills crisis, which is global in scope and affects every organization. The collective, community approach is resonating and helping to solve the cybersecurity challenges that our clients face. Our members are contributing in valuable ways, such as posting in our active discussion forums. In turn, we are connecting our members with key developers, subject matter experts and support leaders with our user group and webinar events and providing free on-line training classes developed by the Security Learning Academy. Why is Community Essential to Cybersecurity Professionals? As reported late last month by WMBF News, "a recent study by ISC2, a non-profit group that specializes in training cybersecurity professionals, shows the shortage of cybersecurity workers is now close to three million globally, putting many organizations, government agencies and people at risk. Just in North America alone, there’s over 500,000 job openings." These startling statistics are clear proof that in today’s threat landscape, businesses cannot go it alone. On the contrary, responsible companies must explore how sharing resources, talent and knowledge can strengthen cyber defenses. Today I am proud to say the IBM Security Community has answered this call to prioritize information sharing and collaborative defense. Our community defines us as much as we define it. Historically, the places where people worked and lived were defining attributes of community, but today that has changed. In our modern world, communities extend far beyond traditional geographical boundaries, and the IBM Security Community is no different. Thank you for creating the IBM Security Community. 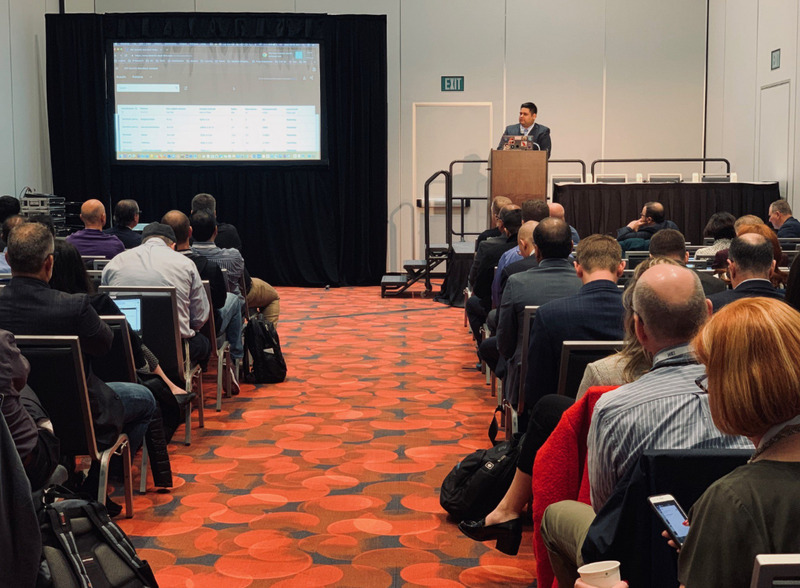 Our community has become a central hub of activity to not only share common issues that security professionals face on a daily basis but a dynamic site to help connect clients with training, education and security experts around the world. Our greatest asset has always been in the expertise our clients and partners can share and our community allows this dialogue to happen. Guardium user group members at Community Day 2019. Our community has shown me that working together to solve common security challenges better serves an organization and the broader industry than trying to go it alone. In general, the more people that share common obstacles, collaboratively, the better the outcome for everyone. Drawing from the lessons learned and best practices of more than just a single organization enables security professionals to be more efficient with their time, build essential skills, and identify and leverage innovation earlier. So, as we embark on another year of members helping members in the IBM Security Community, we invite you to join us. And for those of you who have already joined, please take the opportunity to post a discussion question or answer a question that one of your fellow members have asked. And to all, please take our survey and tell us what you want from the community — we are listening and looking forward to your input. Thank you Jordi-we are so glad you are part of the community! This is the strength of an excellent community that works for the Society.